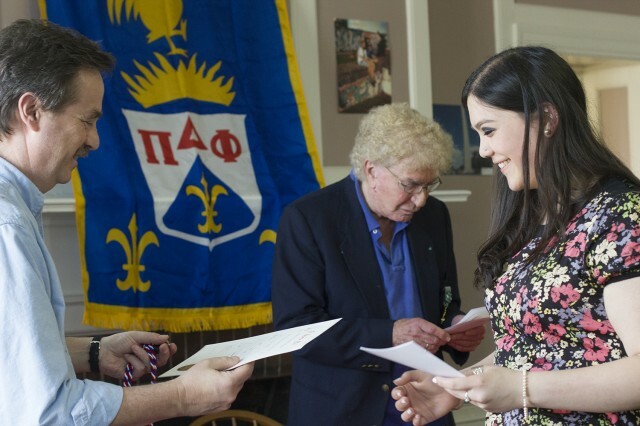 On May 5, eight students from the Class of 2014 were inducted into Pi Delta Phi in the Romance Languages and Literatures Department. 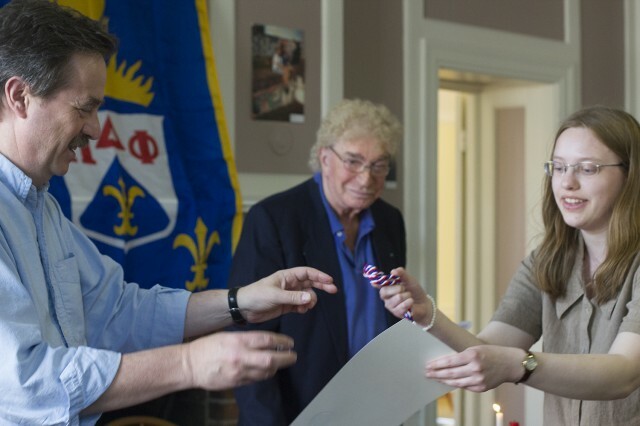 Pi Delta Phi, the National French Language Honors Society, is the oldest academic honor society for a modern foreign language in the United States and has more than 370 chapters. The eight students inducted this year are Manon LeFevre, Tess Scriptunas, Kelly Toy, Emily Dorsey, Melanie Dellplain, Clara Peretz, Elizabeth Deatrick and Natalie Robichaud (pictured at right). 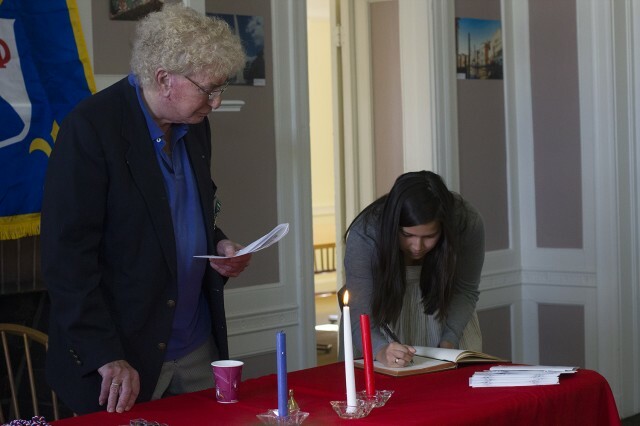 At left, Jeff Rider, professor of French and French section head, and Norman Shapiro, professor of French, in center, led the ceremony. 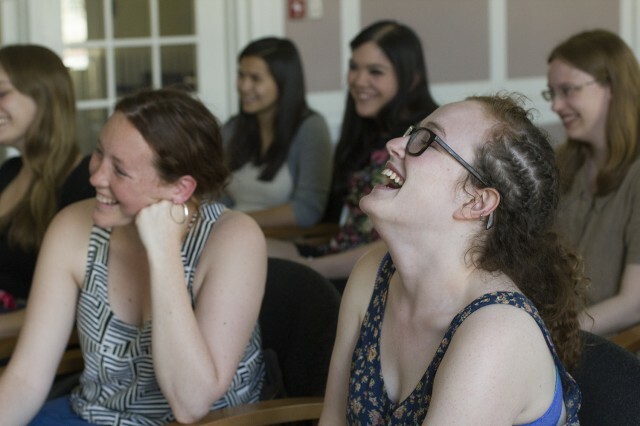 Pictured at right is Kelly Toy ’14. The Society works to recognize outstanding scholarship in the French language and its literatures, increase knowledge and appreciation in Americans for the cultural contributions of the French-speaking world, and stimulate and encourage French and francophone cultural activities. 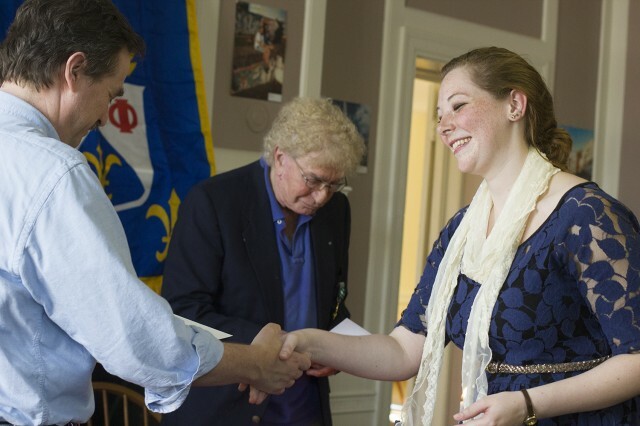 Pictured at right is Elizabeth Deatrick ’14.